Refugees search for food at a garbage dump in Fnideq, Morocco, close to the Spanish enclave Ceuta last year. 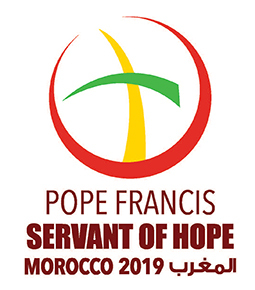 During his March 30-31 visit to Morocco, Pope Francis plans to draw attention to the need for international cooperation to assist migrants. There are about 20,000 Catholics in Morocco. Almost all of them are foreigners, said Father Nourissat. A significant portion of those Catholics are students from sub-Saharan Africa studying at Moroccan universities.